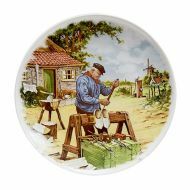 This is one of Dutch Artist J.C. Van Hunnik best known scenes, the old fashioned way of making wooden shoes by hand. 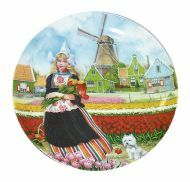 This is one of the newer creations by famed Dutch Artist J.C. Van Hunnik. 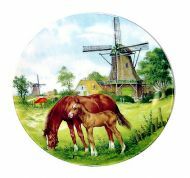 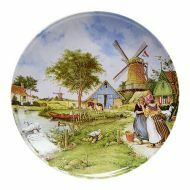 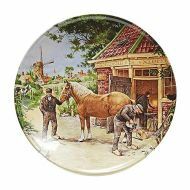 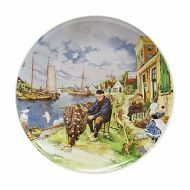 OUT OF STOCK Another lovely 9 inch plate by well-known Dutch Artist Van Hunnik.